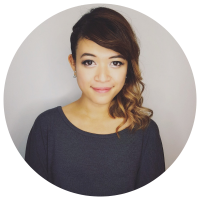 Anisa Sanusi is a UI/UX Designer based in London, UK. Throughout the years Anisa has cultivated a devotion to effective UX design, speaking at the first UX Summit held at GDC in San Francisco and also served as a Juror for the BAFTA Games Awards for multiple years. Anisa is an advocate for diversity and inclusivity in the games industry, having talked about her experiences at the European Women in Games Conference. Anisa was named as one of GamesIndustry.Biz Top 100 Future Talents, on top of being listed in Develop Magazine’s 30 Under 30 list. She also tries to give back to the games community by conducting Game UX Workshops, giving advice to students and aspiring game developers at expo’s, game jams, and career fairs.